is located on the gulf coast of Florida. We (Lorrie and Dan Jergenson) live on the gulf coast of Florida in the Fort Myers area. We enjoy the sunny warm temps of the gulf and to avoid the snow up north in Minnesota where we used to live. Florida is also home to Eukanuba and many other great dog shows and activity for dogs. We have been showing and responsibly breeding AKC puppies since 1999. 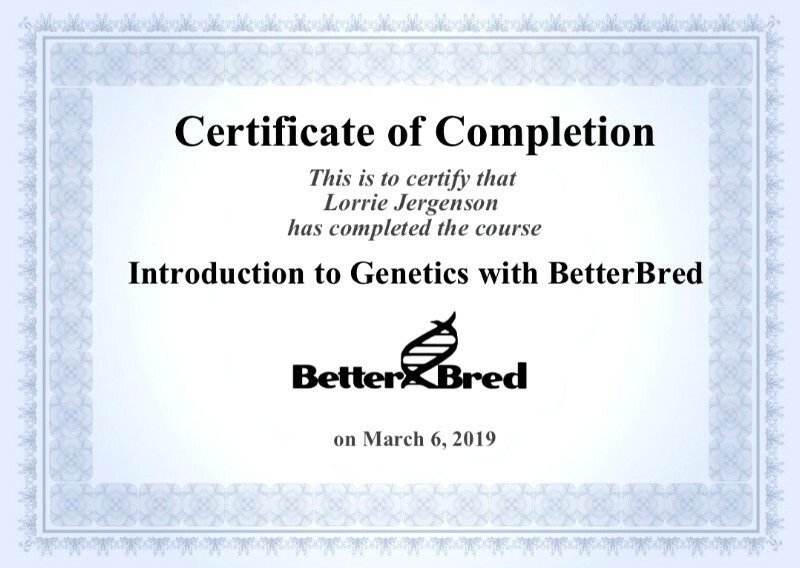 I (Lorrie) started training, showing, and breeding (Miniature Wirehaired) Dachshunds and eventually added Havanese. Due to my love of the Havanese and to give my full attention to them, I have stopped breeding Dachshunds. 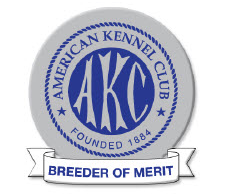 I have attained numerous championships with dogs of both breeds and in 2011, I was designated “AKC Breeder of Merit” from the American Kennel Club in recognition of the number of championships we have produced. We breed for perfection, striving to breed champions to champions and in particular breeding for health, temperament, and type. Whether our puppies are placed in show homes or pet homes, our breeding standards are always the same. 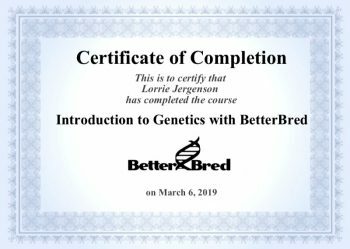 I am a responsible and ethical breeder/exhibitor of Havanese. My goal as a breeder is to offer quality, health tested puppies with correct temperament for either show or pet. Our puppy’s parents are from champion dams and sires. All puppies going to pet homes are on a spay/neuter contract only. Show puppies are sold with a show contract. One litter of puppies can have both show and pet puppies; therefore there is not price difference in a show or pet puppy. All of our adult dogs and puppies live in our home and are an important part of our family. We wouldn’t have it any other way. 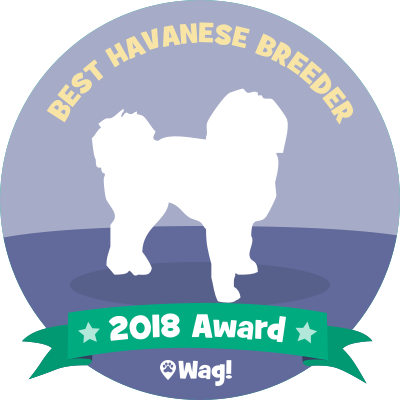 Lordocs Kennel based in Punta Gorda, FL is a Top 2018 Havanese Breeder! 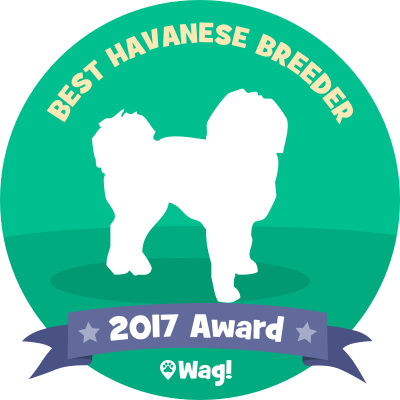 Lordocs Kennel based in Punta Gorda, FL is a Top 2017 Havanese Breeder! 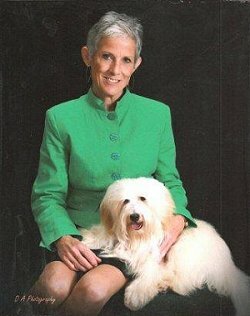 In 2011, Lorrie was designated “AKC Breeder of Merit” from the American Kennel Club in recognition of the number of champions she has produced. 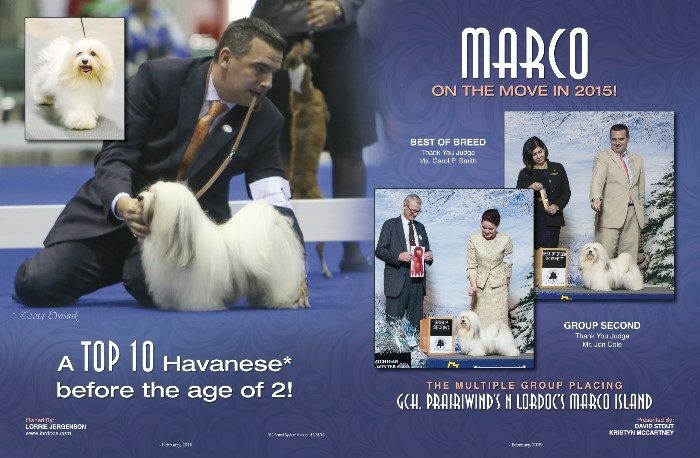 Here’s a look at our Ad placed in the February 2015 issue of The Canine Chronicle for our GCH Prairiwinds N Lordocs Marco Island for placing in the Top 10 Havanese before the age of 2, CC Breed System! We are so Proud of our Marco!